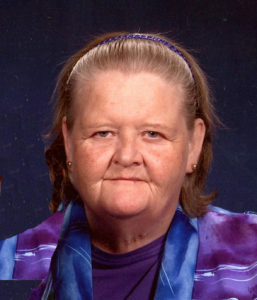 Four Oaks – Kathryn (Kathy) Adams White, age 61, died Friday evening in UNC Johnston Health. Born February 28, 1959 in Johnston County to the late William Harris and Lessie Florence McLeod Adams, she was preceded in death by her sister Susan Adams Griswold. Kathy loved doing crafts with her niece and nephew, something that they have continued doing to this day. Funeral service will be conducted at 11:00 am Tuesday, August 14, 2018 in the chapel of Parrish Funeral Home with Mr. Luby C. Tyner, Jr. officiating. Burial will follow in the Knollwood Memorial Park. The family will receive friends from 10:00 – 11:00 am just prior to the service. Surviving are her husband George E. White, III; brother, Ronnie Adams and his wife Sally of Newton Grove; brother-in-law, George Griswold of Princeton; niece, Amy Rose, her husband Andy and their children Conner and Emma all of Princeton and nephew Ronnie Adams, II and his wife Julia of Jacksonville, FL and her Fur Babies, Pumpkin and Dexter. Flowers are acceptable of memorial contributions may be made to the Johnston County Animal Shelter, 115 Shelter Way, Smithfield, NC 27577.